This spring was filled with short trekking breaks in different parts of Europe and it somehow made me think about New Zealand. 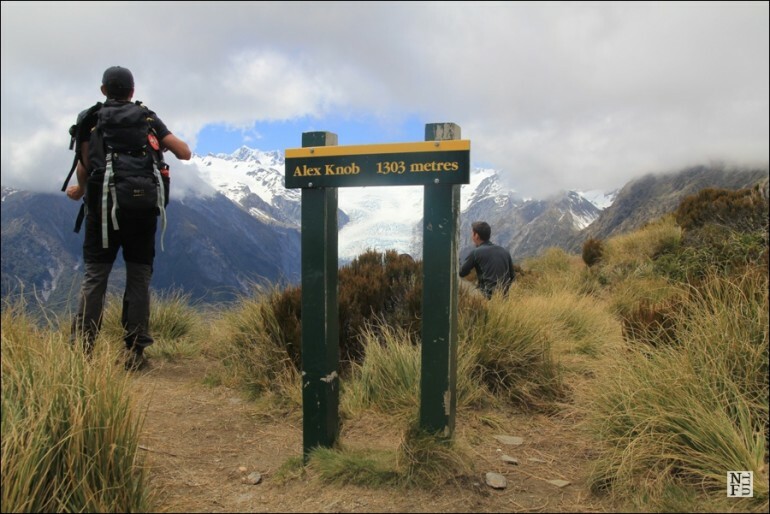 One of the most spectacular hikes I did on the South Island was the one called Alex Knob trail. 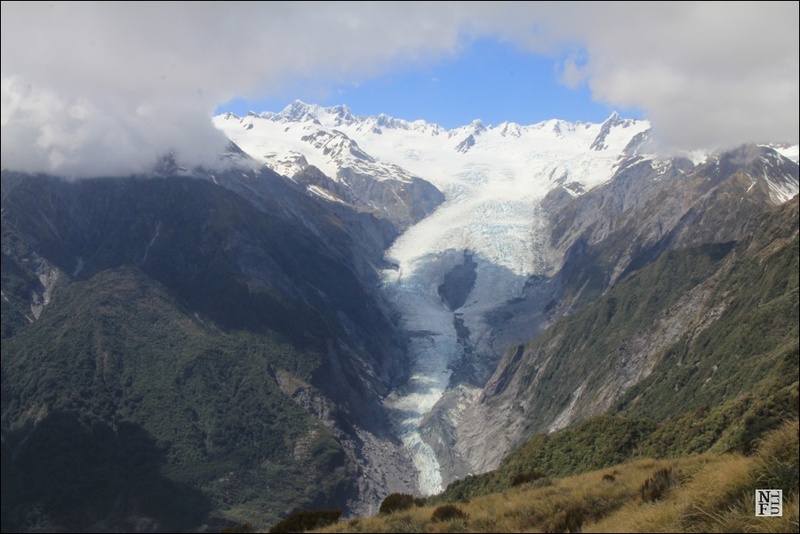 I can tell you this: there is no better view on Franz Josef majestic glacier than from this peak! This was a fantastic day and I can recommend this trail to all hikers. 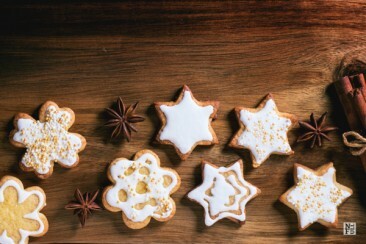 What is was special about it? 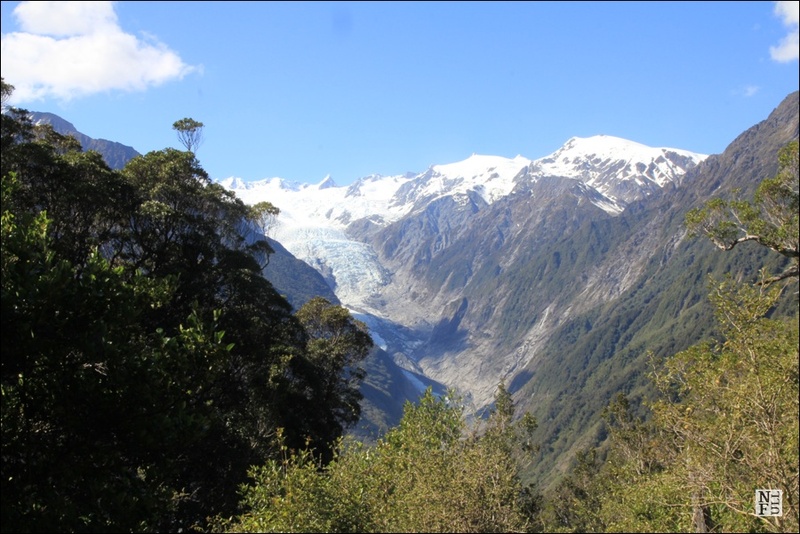 Along the track: view on Franz Josef glacier. New Zealand. I know the magic word ‘variety’ is somehow overused in the case of New Zealand but it is SO true! And I can’t do anything about it. This one day hike brought as many views as these: turquoise sea (The Tasman Sea), rocky shore (West Coast), sandy beach (Okarito Beach), bush and finally glacier (Franz Josef). Now think about Europe and about how many days you should walk to see it all? 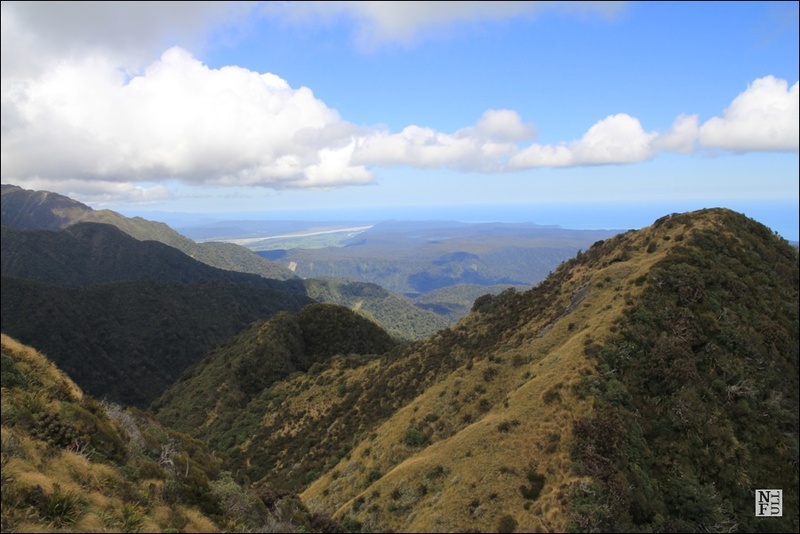 Alex Knob Trail – view towards Tasman Sea, West Coast, New Zealand. The itinerary was straightforward: from the place when the road ends go up. No mountain huts along the roads. Actually spectacular views and nothing else. A welcome sign informed me that the trail is 17 km long and a return walk takes about 8h. And normally I would consider it moderate at most BUT I didn’t have any experience in walking in a bush. And this is completely different! Bush in this case means a forest full of native trees. It is thick, dense, humid and makes an impression of being impenetrable. 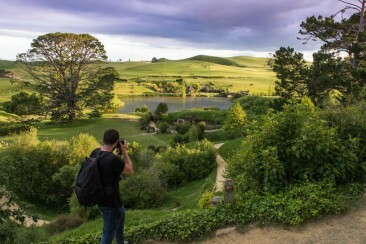 It looks like my blogger mate Laurence from Finding the Universe found his favorite trekking paths here in New Zealand! Check his post about it. Stunning photos are his specialty. The good news related to New Zealand was that there is no poisonous animals on this island (no harmful spiders, snakes or scorpions). It cut a huge stress off and made the whole trek enjoyable. But the most difficult part was related to the extreme humidity. Mountains in Europe – vaguely speaking – are high and rocky. 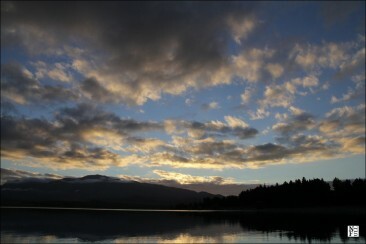 If you think about far Lapland or high Dolomites you will get the picture. Even though there are some trees it is rarely humid. But New Zealand is so different! After 3h of very steep climb I was exhausted. The view from the top was rewarding but somehow it made me disappointed that such an effort brought me only at the 1303 masl! A return way took me less than 8h but it was much more demanding than I expected. This trail was very different also because it was almost completely wild. There are no facilities, no mountain huts. There was a parking space down the road and a welcome sign. And this also makes this trail so different. 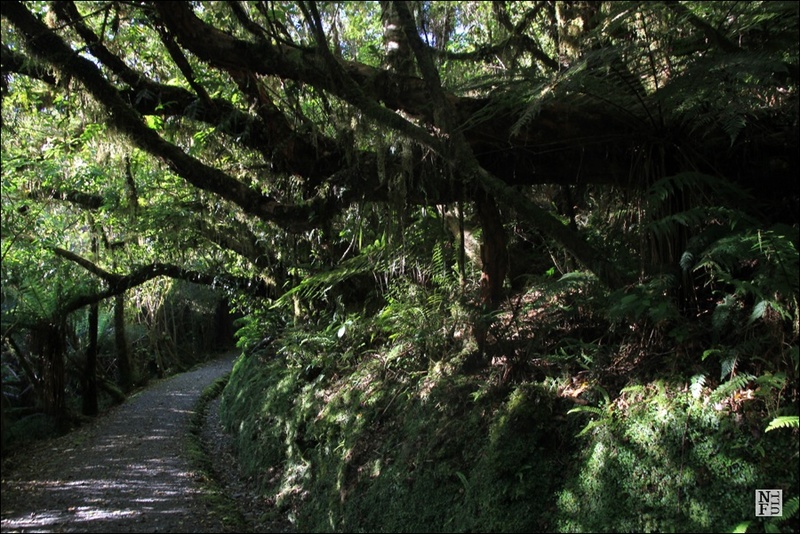 In New Zealand trekking paths are often like this so I think the tourists should be better prepared and brought all survival stuff with them. Every year there are many foreign tourists being lost in New Zealand because they were unprepared to rapidly changing weather conditions. Think about it before you walk it. I found Alex Knob trail physically demanding but also extremely rewarding. No other place like this! I certainly found hiking in New Zealand more strenuous than I am used to in the UK at least! But, as you say, rewarding. And I agree that you need to be well prepared, although I think you can probably find some ‘easier’ tracks in NZ. We did a little bit (very small amount) of the Abel Tasman path which was both spectacular and fairly easy. Thanks Karen! Do you have any posts hiking related you could share with us? 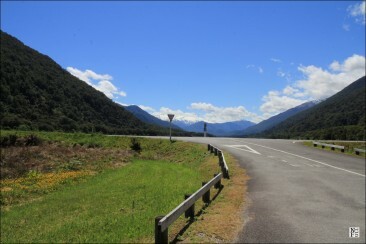 I walked also a part of famous Kepler Track in Fiordland and it was way much easier, although humid. Hi Agata, we only did small walks this time so I haven’t really written anything about them. Hoping to do more next time we go – I’ve been reading about the Routeburn (close to the Milford Track but less crowded and less strenuous) and am very tempted by it. Looks like a real winner of a hike and what fabulous views of the glacier. I’d go in a heartbeat. Those are amazing views! I would think that New Zealand would be a trekking destination! I would definitely hike around New Zealand if I had the opportunity! And when I go there someday, I will be looking into the hiking! What a journey? I had no idea it was so humid in NZ. Who would have thought? Also, the island has no spiders, snakes or scorpions? Really? Sounds like paradise. Based on your photographs, it sure looks like it!! 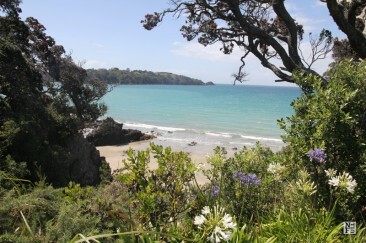 So many great hikes in NZ! We’ve spent the last 18 months travelling through New Zealand with our caravan and I have to agree that this is a superb place to explore on foot. Our favourite hikes have been the epic Tongariro crossing and our heli hike on the Fox Glacier. Having said that some of the shorter tramps we’ve done in the Queenstown Lakes region were also superb. There’s just so many great trails to choose from!